Many men and women require catheters in order to expel urine from their bodies. The reasons can range from surgery to spinal cord injuries. 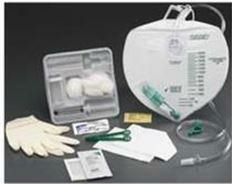 Many opt to use a Foley catheter in order to meet their urinary needs. This particular type of catheter is inserted into the bladder and held in place with a small balloon that is inflated. From there, the user has the option to drain their urine into a collection bag or one that is smaller and is positioned on the leg. More importantly, knowing how to properly drain and clean these collection bags can help prevent other medical issues like infections and can improve your quality of life. No matter what style of indwelling catheter you use, you will need to choose a collection bag that your catheter empties into. This is an individual choice for each user and lifestyle and/or activities may determine which one you choose. Some may opt for a urine leg bag. As the name implies, these are worn on the leg and are discrete since they can be worn under clothing. While strapped to the leg and being covert, the downside is they tend to be smaller therefore may need to be emptied more frequently. These are great options for those who may be self-conscious about their catheter. For nighttime use, many opt for a larger urine drainage bag. These allow for larger volumes of urine overnight and have measurements on them in order to accurately measure urine output. The larger volume is critical for two reasons. The first is we may produce more urine during the hours that we may be sleeping and many bags now are equipped with anti-reflux valves so the urine does not back up and cause potential problems in the kidneys. Secondly, with a larger capacity we can actually have peace of mind and get a full night’s sleep. Maintaining a clean catheter and collection bag can go a long way in avoiding any urinary tract infection. By keeping your collection bag clean you not only avoid UTIs, but by extending the life of your collection bag it saves you money in the long run. While your nighttime collection bag can allow you do enjoy a good night sleep, your leg bag allows you to continue to enjoy your independence and mobility without the worry of urinary incontinence.